I found this picture and wanted to know if anyone had information on this customer. 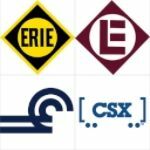 A commenter on rr picture archive says its best foods, did they date back to Erie days and what exactly did they do there? What did they use the box and tank cars for? Thanks.